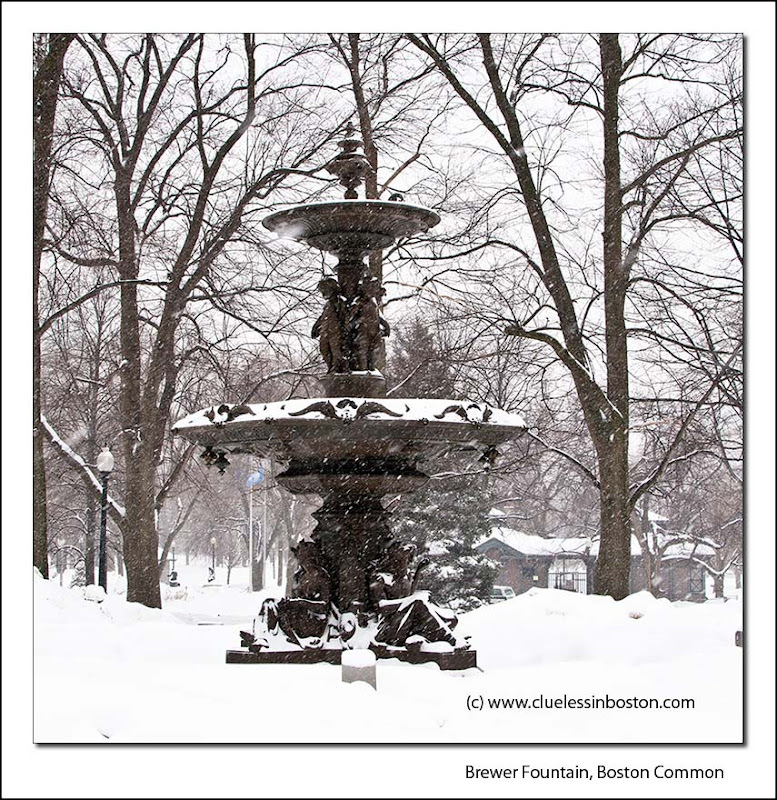 Brewer Fountain on a snowy Boston Common this afternoon. View my other photos of this fountain. The first of the month is theme day at City Daily Photo Blogs. View other fountains from around the world. It looks so pretty in the snow! Elegant, pretty and at a beautiful place! Just as graceful in the snow as if it had water gushing from it. Such a beautiful fountain in a very frosty setting. Ya pretty... but enough already! Snow can not ruin the true summer beauty. Gorgeous. You could keep a great blog going only using photos from the Commons and Public Gardens, couldn't you? I knew you had to post one photograph of that great fountain, a big source of inspiration for you! A snowbound beauty. Wonderful photo! So pretty! Glad you took this as a wideshot showing the snow and trees. This is one of my faves from this theme day -- well done.